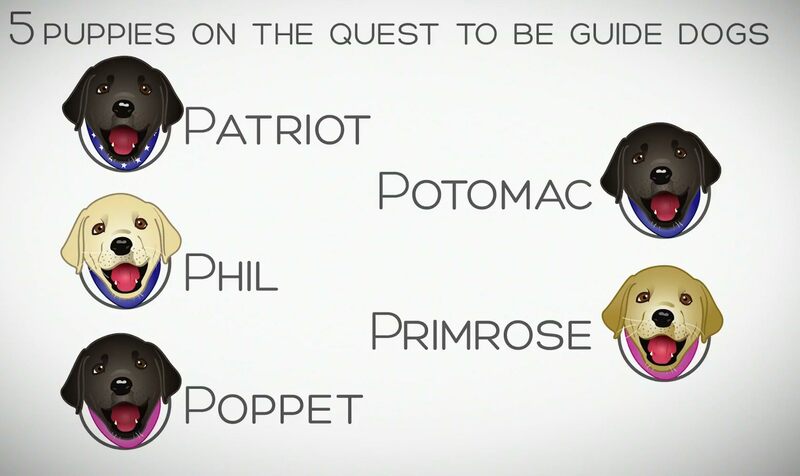 About as simplistic and easy as documentary features get, Pick of the Litter never does too much for its own good, instead focusing its time and energy on the furry friends at the picture’s center. You don’t really even have to be a dog person to fall in love with this movie either, although if you are I’d recommend keeping a few tissues close by from the very start. Pick of the Litter uses its adorable subject matter to explore the effects of environmental development, career callings, and our relationship with man’s best friend. It’s as precious as it is powerful. 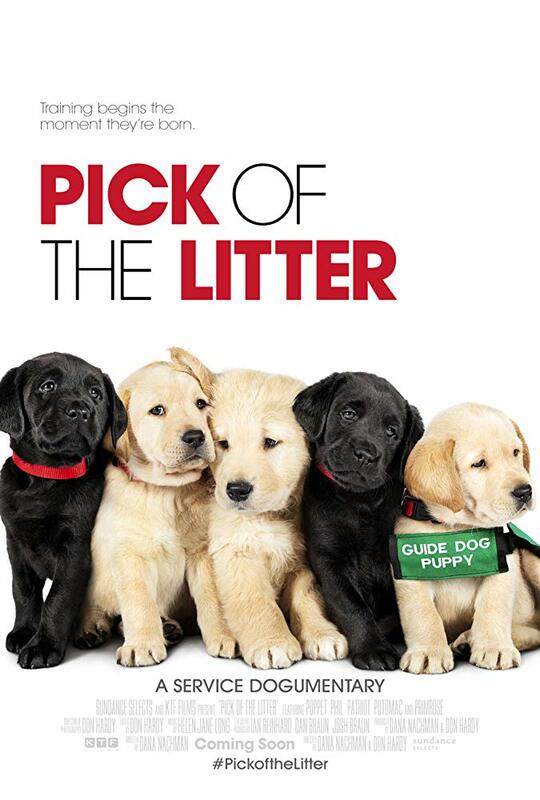 Born and bred to hopefully one day be guide dogs for the vision impaired, Pick of the Litter follows five sibling pups – 3 male and 2 female – as they embark on their own separate quests. They’re temporarily raised by adoptive parents, trained over and over again, often switching homes and owners to find the best fit. 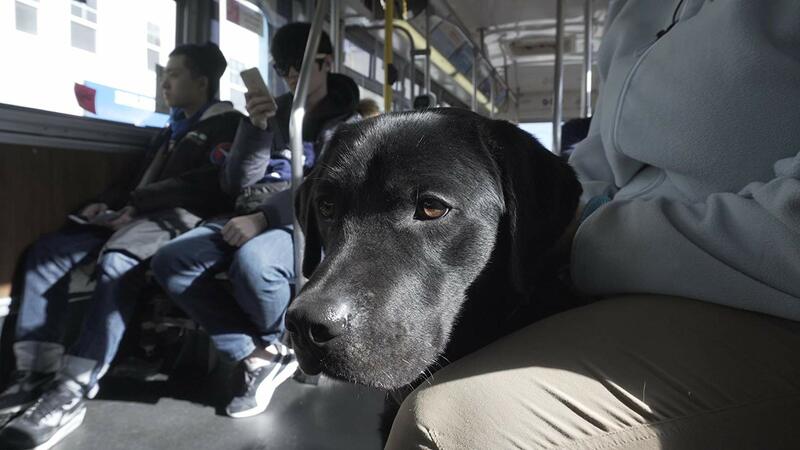 Most dogs don’t make it through the program, although not by any fault of their own or of their handlers; in some cases it’s just visibly clear that being a guide dog isn’t their greatest strength and so they are “career changed,” available to adopt or breed the potential next litter. Unlike the clumsy film A Dog’s Purpose, this documentary really establishes what dogs are able to mean to people and vice versa. Some of the more subtle scenes in Pick of the Litter prove to be the most emotionally involving. A young man who means well but is totally unqualified for the job has to hand over his dog. Parents and kids have to tearfully say goodbye after successfully raising them through the puppy stage. Hearts are broken, as well as relieved, when the call comes that so-and-so didn’t make the cut. It’s beautiful to see the evolution of these loving, reciprocating relationships form and change and come to an end, showing us the cycle of life and that people can be just as universally and doggedly devoted as our four-legged companions when we’re compelled to be. A lot of people preach that we don’t deserve dogs, and yet their open eyes and wagging tails tend to suggest otherwise. They want to be wanted, as do we. While it’s nearly impossible to not turn into an emotional wreck when people meet their new all-seeing partners in crime, the most joyous part of directors Dana Nachman and Don Hardy’s touching and informative documentary comes from getting to know these dogs. To see them develop traits and unique personalities. To watch them grow into their authentic selves. To see how similar yet totally different they are by comparison. With excellent editing and an ability to tug on the heartstrings, Pick of the Litter shows us that an old dog can learn new tricks, and that sometimes it’s best to simply allow them to perfect their innate gift. I may be allergic to most dogs that shed, yet even I can’t use that as excuse for the number of times this movie made my eyes swim. This documentary is about as pure as they come.